The words I live by are found in Scripture, in the Gospel of Mark (similar words are also found in Matthew and Luke). Jesus knew that the time was near when He would face the Cross, and He wanted to leave His followers with a message they would remember. He gave them two of the primary principles they would need to live by, once He was no longer with them. He wanted them to understand that LOVE was the most essential command. Loving the Lord our God is the first great commandment Jesus gave His followers. 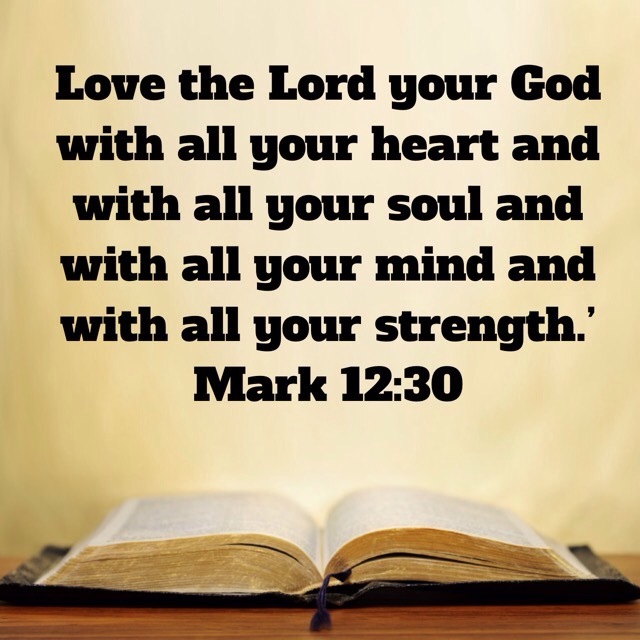 How do we love the Lord with all our heart, soul, and mind? Pursue the Lord as our greatest treasure. Make pleasing the Lord our chief aim in life. Spend time daily in God’s Word to get to know Him. Obedience is the outward demonstration of our love for God. The Greek word used for love in these verses is “agape” – the kind of love that seeks the greatest good for others. In John 15:12, Jesus said: “This is My commandment, that you love one another, just as I have loved you.” (NASB) Jesus loved us by laying down His life for us, so this means we need to be willing to lay down our lives for one another. 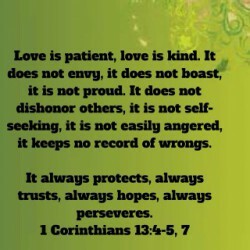 1 Corinthians 13:4-7 gives us one of the clearest explanations of how we can live out this agape love. It’s a perfect description of how God loves us and how He wants us to love others. ← I AM A WRITER!